View your website's visibility on search engines and visually compare it to your competitors in this colorful graph that also provides options for display of Google Algorithm Changes, Events, and Notes. Visibility is based on the position of ranking keywords and average search volume. The Visibility Score takes into account all tracked keywords for a campaign, but can be adjusted to exclude certain keywords or search engines, however, the default settings will show the average of all keywords across all search engines being tracked in the campaign. Visibility Score is calculated per keyword for keywords that are ranking in the top 30 search engine results for each search engine tracked in the campaign. Keywords can score up to 500 in our system, but we only calculate Visibility Score for keywords in Top 30, meaning that if a keyword is ranked in position 31 or 499 it will be assigned a Visibility Score of 0. This is based on research of average user behavior indicating that approximately 75% of users never scroll beyond the 1st page of search results. Therefore, Visibility value for a keyword is based on the rank position, i.e., a keyword that ranks #1 will have a higher value than a keyword that is ranked #4. The total of the campaign keywords' visibility scores (including those that score 0) results in the campaign's daily Visibility Score. The higher the daily score, the better the site's visibility. The idea is to improve from the baseline Visibility Score over time with the goal of improving click-thru and site traffic. In this example, the Visibility Share % option is enabled, producing a summary above the graph that details the percentage share of the campaign website compared to tracked competitor domains. This is an example of the visibility and rank graph displayed in the Rank > Dashboard. The Rank is specific to the selected keyword and search engine. The Visibility Score takes into account all tracked keywords for a particular campaign for the selected search engine and, therefore, differs from the Rank as it is not specific to a keyword, but rather an average score of visibility for the website. Visibility Score added to a ranking graph improves the ability to see how the entire campaign is performing in comparison to fluctuations for a specific keyword. 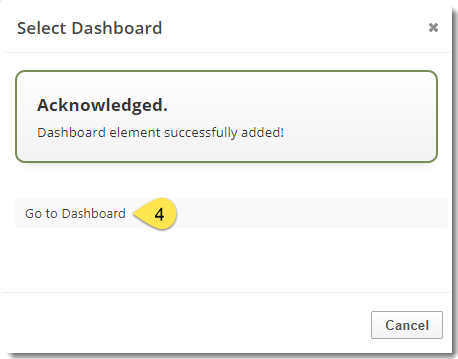 You can also add the Visibility metric to an Insight Graph and create a custom graph with blended metrics, refer to the Insight Graph section below the options for this graph. Show or Hide the Rank Risk Index Algorithm Change. 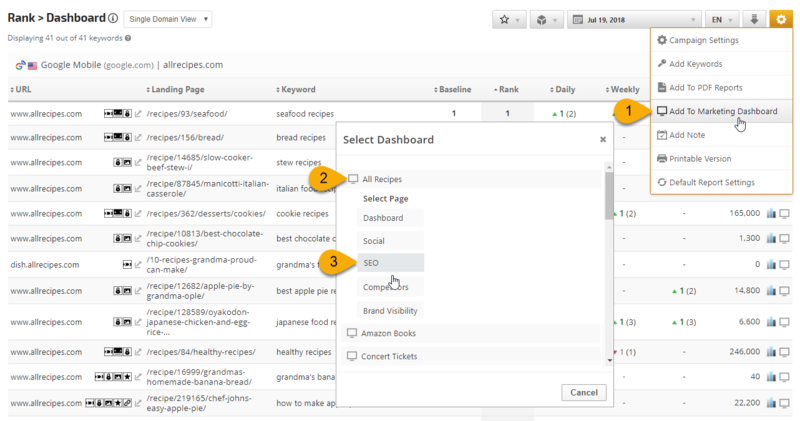 Select the Keyword Tags you want to be reflected in the graph. Select the Domains / URLs that you want to be reflected in the graph. Select the Search Engine data you want to be reflected in the graph. If you're tracking rank in multiple countries for an e-commerce site, for example, the Insight Graph has an enterprise feature that allows for cross-campaign metrics to be added. In this example we've compared the search engine visibility in the UK and US on Bing organic, and Google organic and mobile. Visibility is based on the position of ranking keywords and average search volume. The Visibility Score takes into account all tracked keywords for a website, but can be adjusted to exclude certain keywords or search engines by using filters, however, the default settings will show the average of all keywords across all search engines being tracked for a website. PDF Report Content screen, then click the Add Report button and select the Campaign name and Report: Visibility Graph. Display the Google Algorithm Update indicator (displays on graph as a red bar and can be moused-over for details) by moving the slider to the right. Display Visibility Share (%) (percentage share of campaign website compared to competitor domains displayed) by moving the slider to the right. Select the Domain(s) to be displayed in the report. Select the Search Engines to be displayed in the report.